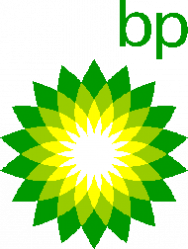 In late September 2017, BP started production from Phase One of the Khazzan gas field. Phase One of Khazzan is made up of 200 wells feeding into a two-train central processing facility, with production expected to plateau at 1 billion cubic feet of gas per day (bcf/d). Once the second phase of the Khazzan is fully up and running, production is expected rise to1.5 bcf/d. Approximately 300 wells are expected to be drilled over the estimated lifetime of the Khazzan field. The Khazzan tight gas reserves lie at depths of up to five kilometres in narrow bands of extremely hard, dense rock. These complex and challenging conditions require specialized drilling equipment, the precise drilling of both vertical and horizontal wells, and wells stimulation to free the gas. Phases One and Two will together develop an estimated 10.5 trillion cubic feet of recoverable gas resources. The total gas produced will make a significant contribution to ensure stable supplies from domestic sources.